ABC/Randy HolmesJohn Legend‘s been out on his All of Me tour for quite some time, but he’s still got plenty of dates to go: he wraps things up in the U.S. at the end of August; then, he’ll head to Singapore, followed by dates in the U.K. and in Europe. 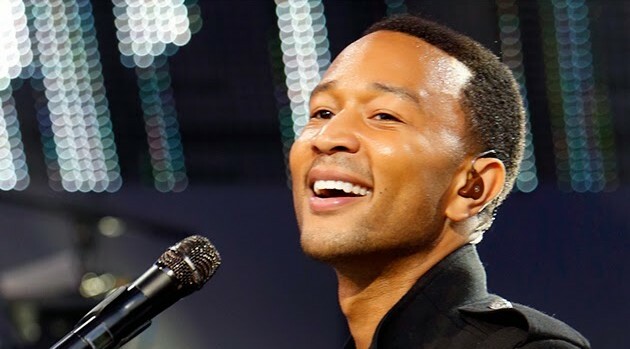 While John’s career’s now at an all-time high, thanks to the success of “All of Me,” the tour, billed as “An Evening with John Legend,” is the opposite of a big production. “I’ve been so happy with it and the fans have been really eating it up,” he adds. Even if you haven’t seen John live in concert, you’ve probably caught him singing on one of the many awards shows he’s performed on over the past year or so. According to the singer, being able to play your song on a big awards telecast is a huge deal for an artist’s career: so much so that he prefers it to actually winning an award. John’s received a nomination for Best Male on the upcoming MTV Video Music Awards, but it’s unlikely that he’ll be performing on that particular award show, since he has a concert booked in Las Vegas that same night.